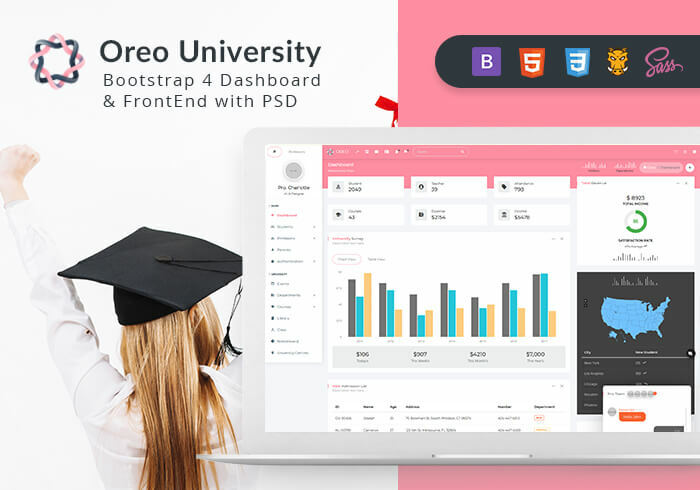 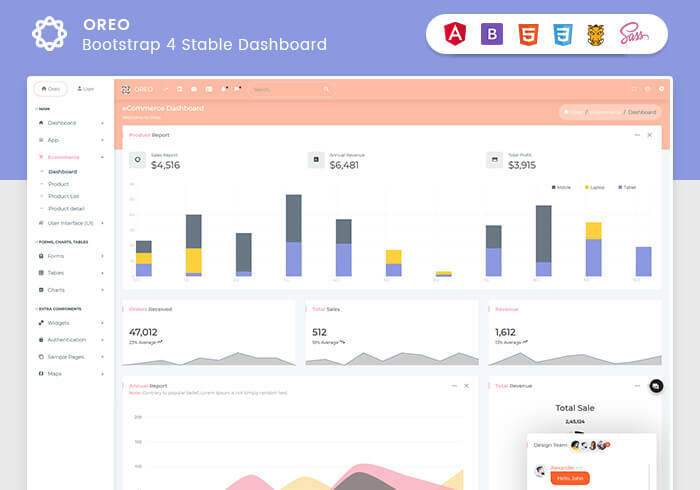 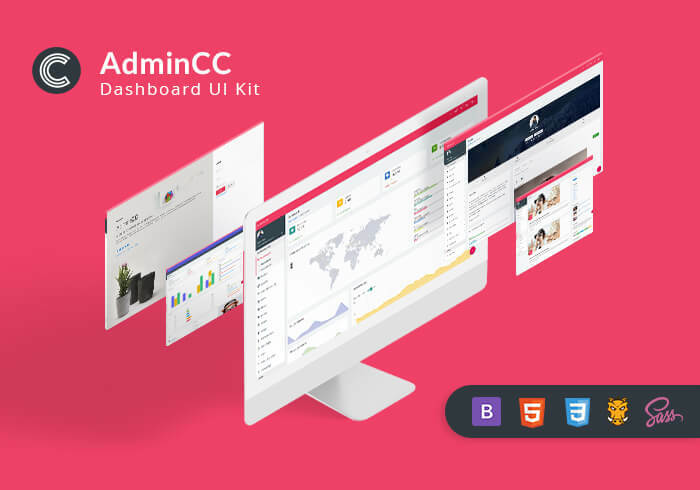 Oreo Admin is Material Design premium admin dashboard theme. 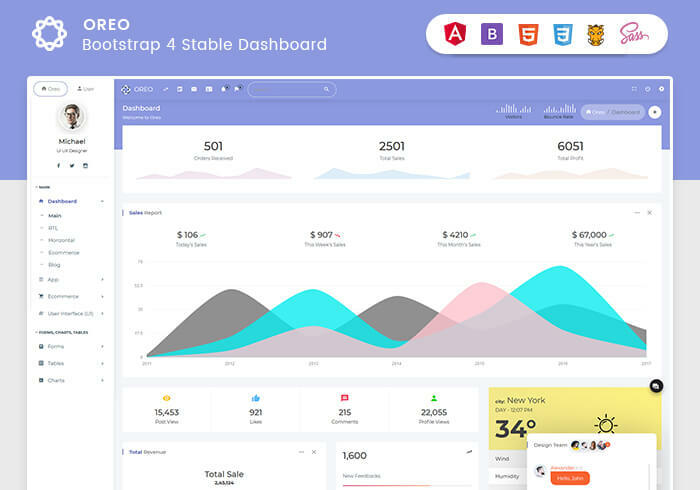 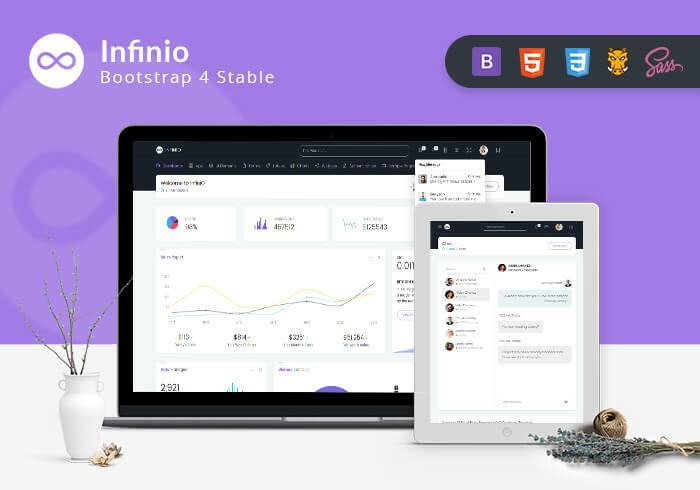 It’s builded on popular Twitter Bootstrap4 framework. 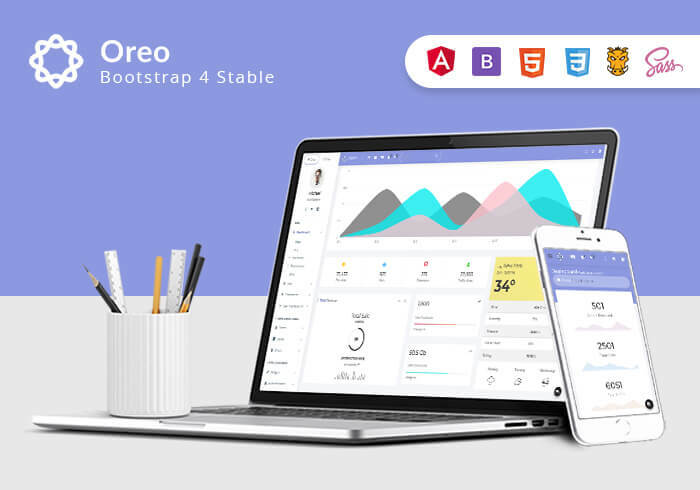 Oreo is fully based on HTML5 + CSS3 Standards. 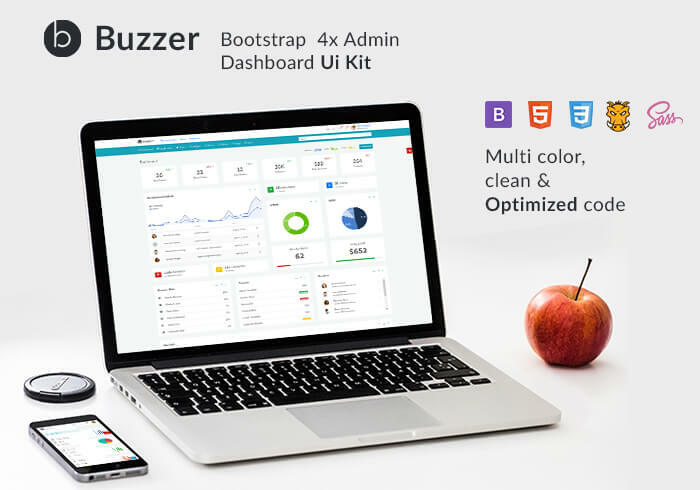 Is fully responsive and clean on every device and every browser. 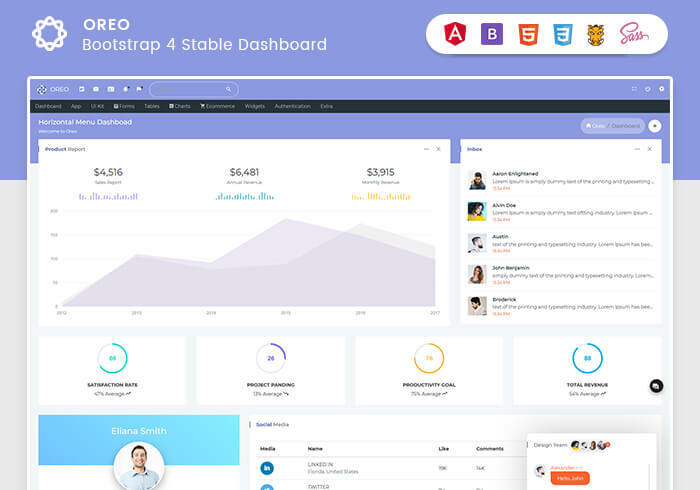 Approved Code and Quality by Envato. 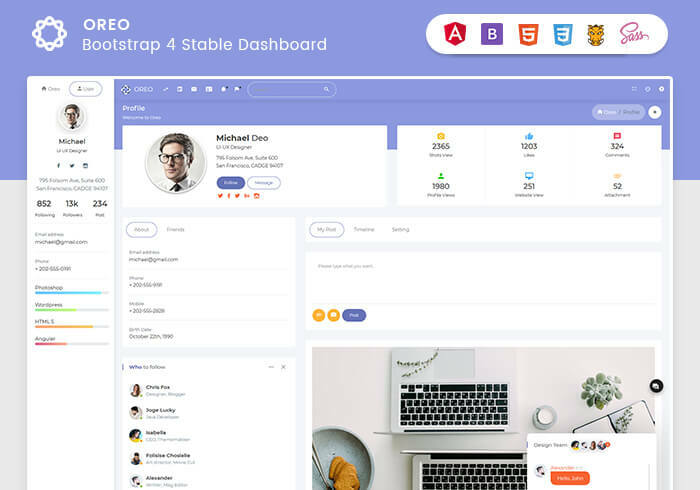 View this template on Envato Market Place.